The protagonist of the story and a resident of Midorijima. He lives with his grandmother, Tae, and works at a junk shop called "Heibon." He seems to have a strange talent of convincing customers to purchase items with his "voice." 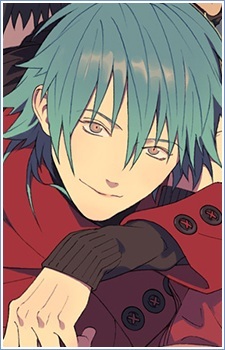 Though a strong fighter, Aoba refuses to join any team. His All-Mate is an old model, designed after a Japanese Spitz puppy, named Ren. Are you looking for some clothes to warm your body and your anime otaku soul this winter season? Complete your winter wardrobe with these wonderful anime jackets. From stylish and badass to cozy and cute, there's an anime jacket for everyone!